Roseanne Barr's racist tweet about former Obama advisor Valerie Jarrett. “Muslim brotherhood & planet of the apes had a baby” Barr tweeted about former Obama adviser Valerie Jarrett. Barr’s apology is hardly sufficient: Comparing a black person to an ape is not making a joke about “her looks,” and falsely accusing her of belonging to a radical Islamist group nods to a long history of discredited rumors about Barack Obama being a secret Muslim. Even as the controversy around her Jarrett tweet was building, she was still tweeting disinformation about Chelsea Clinton being married to George Soros’ nephew and Soros himself being “a nazi who turned in his fellow Jews 2 be murdered in German concentration camps & stole their wealth.” Barr may or may not be quitting Twitter—as of this writing, her account is still active—but the damage she’s done and the lies she has spread will not vanish with @TheRealRoseanne. 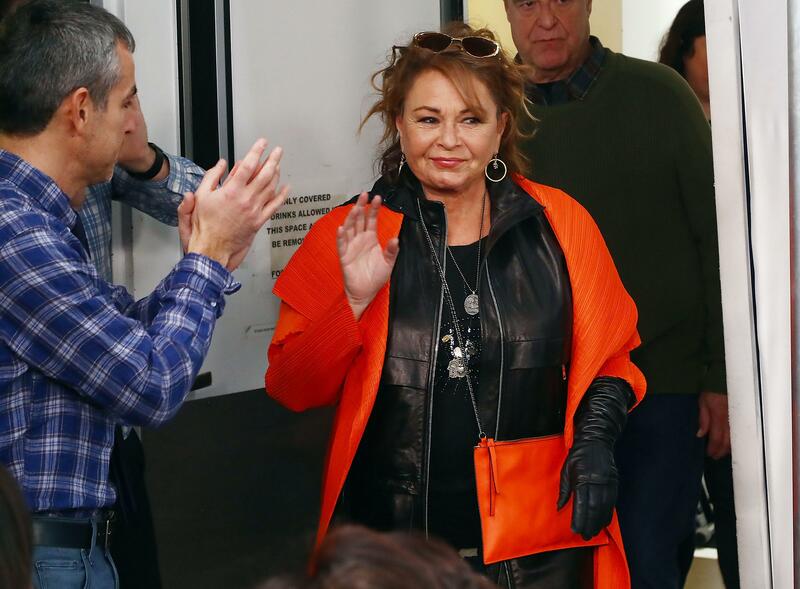 ABC has been silent about Barr’s remarks, and given that the revival of her self-titled sitcom had the highest ratings and most viewers of any network TV show this season, the chances of the network cutting its ties with her seem slim. (Wanda Sykes, a writer and consulting producer on the show, did announce on Twitter she “will not be returning” for Season 2, and co-showrunner Whitney Cummings has already departed. *) Whatever viewers the show might have lost due to Barr’s tweet have likely already been shed by the show’s snarky shots at the network’s sitcoms about people of color and its open, if not honest, embrace of Trump-era politics. At ABC upfronts in mid-May, ABC Entertainment Channing Dungey stressed to advertisers that the Roseanne reboot’s upcoming season would focus on “family trials and tribulations” over red-state politics. But unless Barr changes her tune, the sitcom will be dealing with political fallout regardless of what’s actually on screen. Correction, May 29, 2018: This post originally misidentified Wanda Sykes as Roseanne’s head writer. She was a member of the show’s writing staff and a consulting producer.